When is a camera literally ONLY a toy? And taking pictures simply a game… or actually is this the very point? 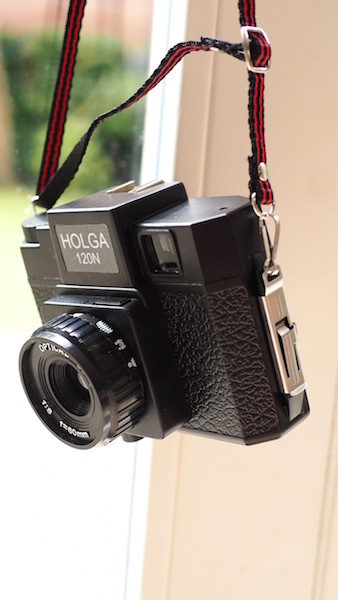 The Holga is proper toy-territory. Firstly it quite honestly feels just like a throwaway toy camera. It’s as light as a feather, a little crazy looking and not at all expensive. Add to this no batteries, no flash and 100% lack of image visibility, shooting with this thing is more like pinning a tail on a donkey. With a fixed focus, the Holga takes 120 medium format film – I chose the Kodak Portra 400 because of its strong colours which, in the new toy, would produce soft focus loveliness and some all natural skin tones. I couldn’t wait to experiment with leaking light and slow shutters. But sadly, throw away is exactly what they did. 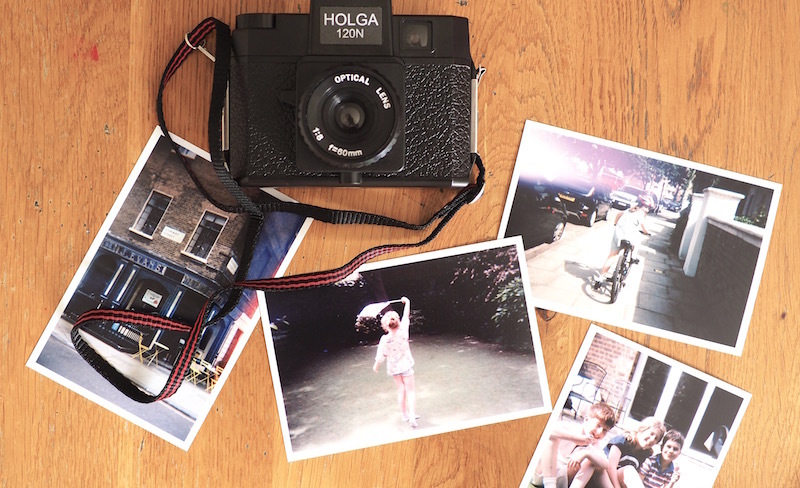 A little history for you all, as I didn’t know a thing about how the Holga came to no longer be. That is, until I had one in my mitts. Yet another casualty of the (beastly) digital age? Or had this little gem served its artistic purpose? Actually there is a BIG reason we should know more about this kooky camera which uses square 120 film. Together with the Diana, many photographers feel that the Holga is responsible for cultivating a wholly new photographic aesthetic. All those technical flaws* which you can’t help but produce in each photo became a desirable part of the image we were all looking for. Plus mobile photography wasn’t as easy as it is today with our big screens and MEGApixels, so the solution to create these ‘arty pics’ was to use Hipstamatic (remember that?) and then Instagram to filter our photos in such a way that the poor quality appeared deliberate. *Exaggerated colors, heavy vignetting, light leaks — YUP – all these digital edits are hallmarks of the Holga. So my advice? Snap one up before they’re nothing but a distant memory. And, anyway, unpredictability is surprisingly refreshing in our ultra controlled digital world.